Over the years, Unichem has invested significantly in Research and Development (R&D) to create state-of-the-art R&D facilities. 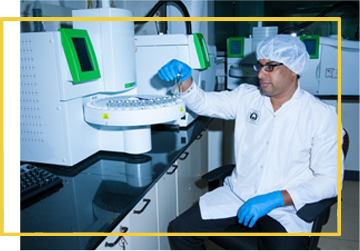 Backed by a research team of over 300+ highly-trained scientists with excellent credentials, the company’s R&D facilities are equipped with cutting-edge pharmaceutical research technology. Unichem’s laboratories are equipped with the latest sophisticated analytical instruments like ICPMS, XRPD, NMR, GC, LCMS, IR/UV, TGA, DSC, Prep HPLC and Flash Chromatography. The company expanded its R&D facilities to strengthen Chemical and Formulation research capabilities. 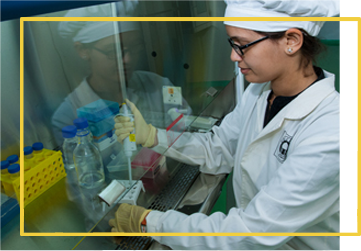 Its Biotechnology R&D facility focuses on cost-effective Bio-Catalysis, Biosimilar products and Novel Biological Entities or Novel Chemical Entities using recombinant microorganisms. It is geared to provide a new edge to Unichem’s R&D efforts. Platform cost-efficient Recombinant Technology Development for Peptides, Proteins, Enzymes etc. Inspired by an ambition to drive path-breaking innovative research, Unichem aims to improve people’s health by consistently providing better, more effective and safe products.